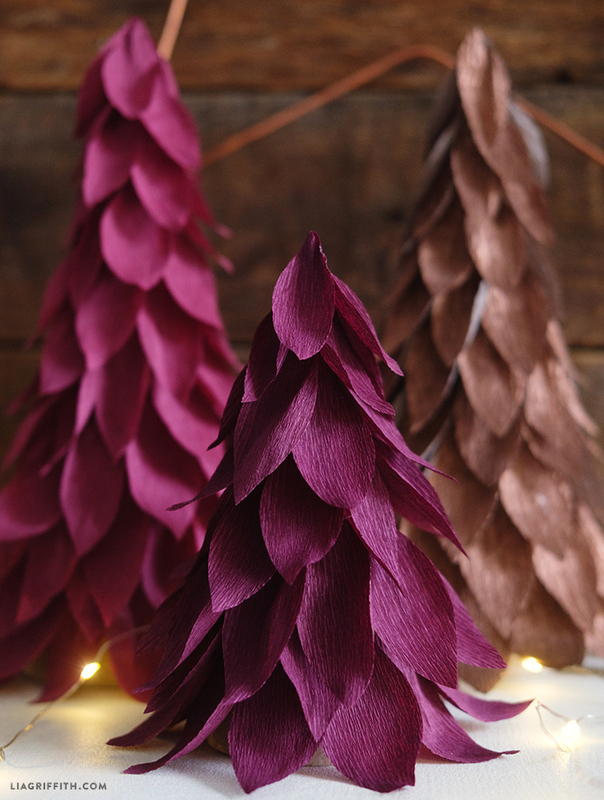 Our crepe Christmas tree cones from a few years ago are still such a hit, we thought we’d bring them back with a new and improved twist. 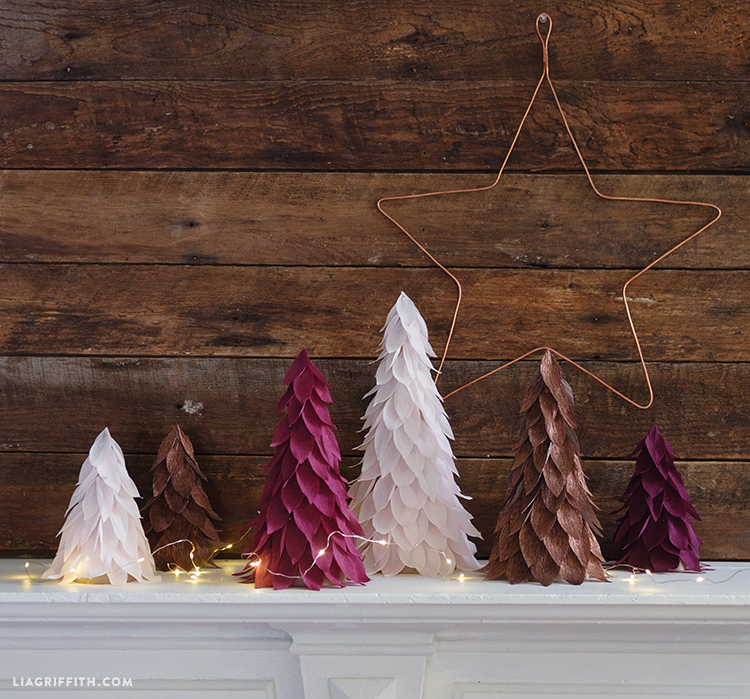 Using extra fine crepe paper from our online shop, we created these gorgeous crepe Christmas tree decorations that you’ll love to replicate for your own home this holiday season. Select your preferred colors of extra fine crepe, then download our pattern below and cut out your leaves. 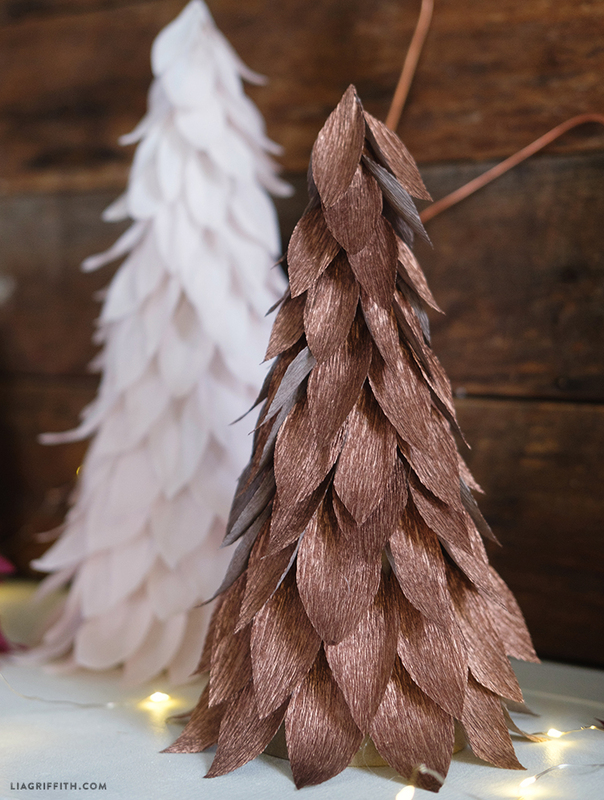 Attach the leaves to foam or paper mache cones using craft glue or a low temperature hot glue gun. The basic technique is to start at the bottom of the cone with the largest leaves and then work your way up to the top. Follow our photo tutorial below for reference! 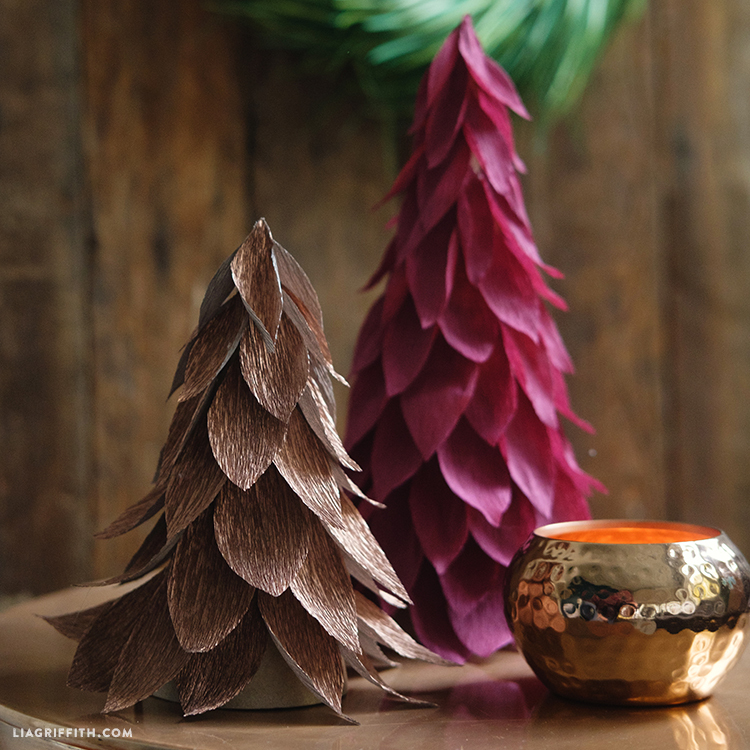 When you finish your Christmas tree cones, use them to style your mantelpiece or end tables. You can also create a cute little centerpiece for your dining room table. Cut your crepe paper according to the pattern. Stretch the middle of the crepe pieces to create a cup shape. Glue the larger leaves first starting at the bottom of the cone and working up. Continue adding the leaves with the smallest on top. Hi – Able to send this comment because it says I am “Logged in as Carla Brutico”. 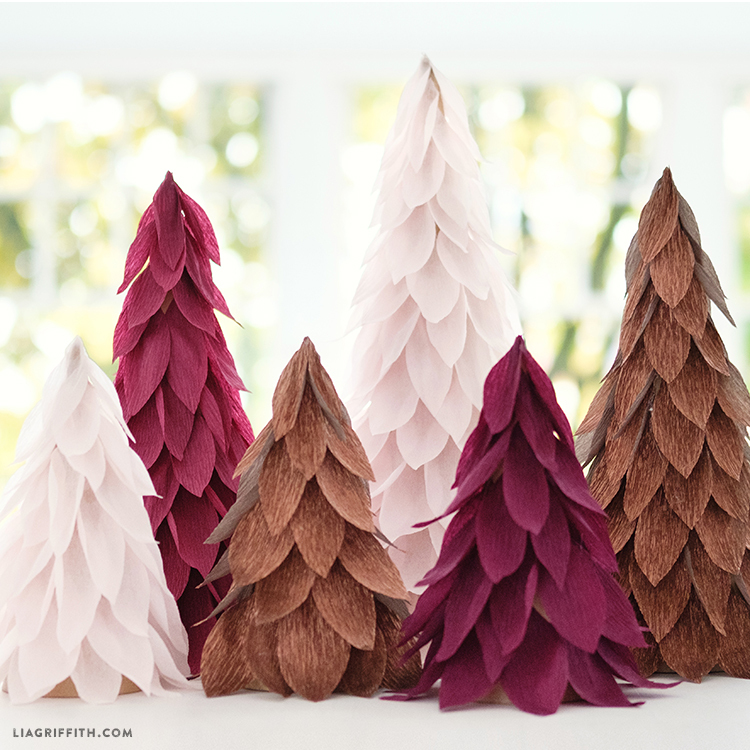 However, I cannot click and download the templates for Crepe Paper Xmas trees. I just reset my password, so it apparently works. Please help me! Want to do these trees this weekend. Thanks a million. Hi Carla! Can you please send an email to hello@liagriffith.com? We’ll get this figured out! Hi there – I love these ! 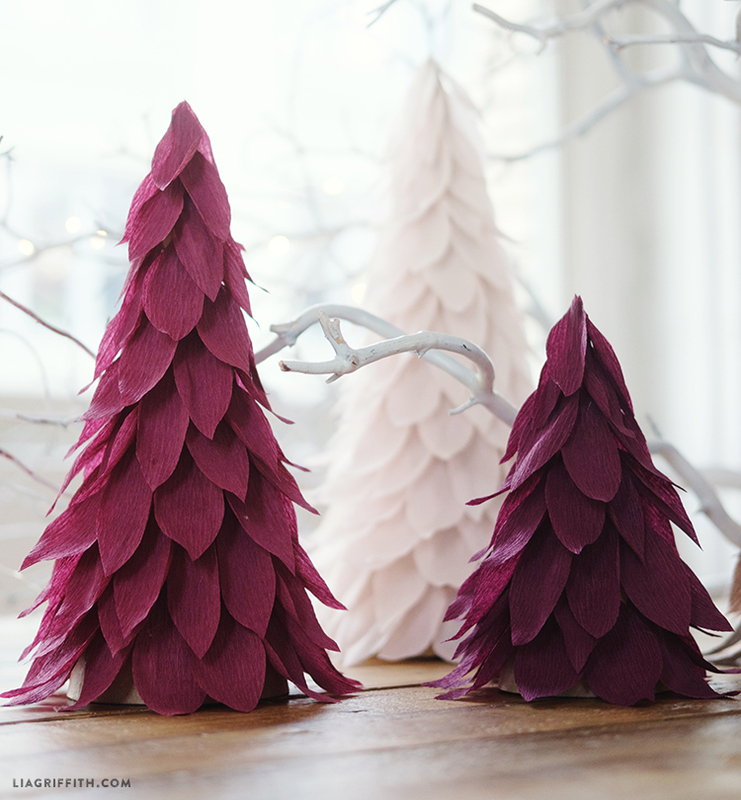 You can get enough petals for 2-4 cones from each single roll of crepe paper– all depends how close you cut the petals together from the sheet, how many petals you use on each cone, and how large the cone is.